Marana is a rapidly growing, vibrant community on the northwest edge of Tucson. The town encompasses a large swath of land along the I-10 corridor between Tucson and Phoenix making it a great place to locate for both businesses and residents. 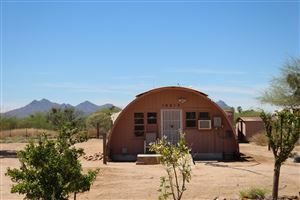 With a population of about 38,000 and a quiet, relaxed lifestyle, Marana is home to families, singles and retirees. Homes in Marana include some of the most upscale residences in the Tucson area. Communities such as Canyon Pass, Saguaro Ranch and the master-planned community of Dove Mountain combine excellent golf with upscale communities. Some of the best courses include The Gallery, The Golf Club at Dove Mountain and The Golf Course at The Highlands. The Gallery offers two courses of 18-hole private golf in Dove Mountain, currently ranked by Golfweek magazine as one of the Top 100 Residential Golf Courses in the country. The Golf Club at the Ritz-Carlton hosted the Accenture Match Play Golf Tournament for the last six years in Marana. The Golf Course at The Highlands at Dove Mountain provides some of the most spectacular vistas and panoramic mountain views of any course in Tucson. The two retirement communities of Heritage Highlands and Sunflower in Continental Ranch are perfect as a second home or for active retired adults. 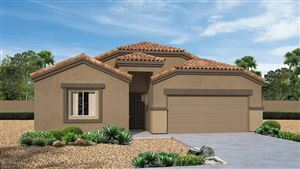 Marana also offers moderately priced subdivisions attractive to families and first-time buyers. 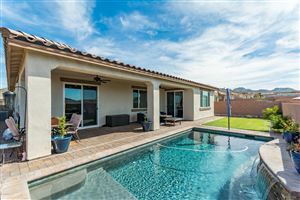 Many homes have wonderful views of the Tucson and Tortolita mountains with ready access to both downtown Tucson and Phoenix. Marana is a family-friendly community with an agricultural history settled along the Santa Cruz River. A number of parks, organized sports, paved hiking and biking trails, a new splash pad and two community swimming pools entertain residents. Marana hosts several events year round including its Star-Spangled Spectacular and its Cotton Festival. The town boasts the newest in shopping with the addition of the Tucson Premium Outlets in October 2015 offering more than 90 vendors including Michael Kors, Tommy Hilfiger and Calvin Klein. For more information on the relaxed lifestyle of Marana, call Team Al and Sandy now at (520) 488-6088.